Durango attorney Mike McLachlan announces his candidacy for Colorado House District 59 seat on Thursday with his wife, Barbara, next to him in front of the La Plata County Courthouse. Democrat Mike McLachlan, a lawyer based in Durango, announced Thursday he intends to challenge Republican J. Paul Brown for the 59th District seat in the state House of Representatives. About a minute into McLachlans speech, the Courthouse clock interrupted him, chiming 12 times before he could continue. Next time, Ill know to schedule the announcement at 1 p.m., he said. 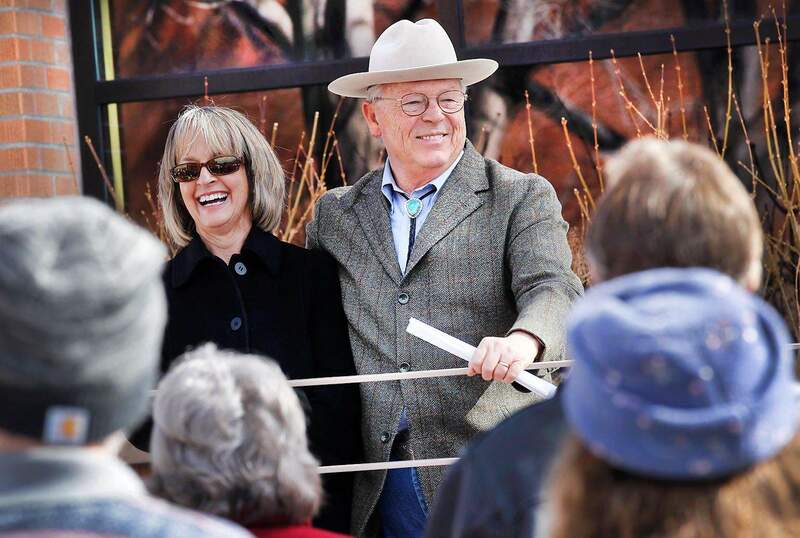 McLachlan emphasized his Colorado roots, noting he attended Colorado State University at Pueblo and his wife, Barbara, who is a teacher at Durango High School, attended Fort Lewis College and Colorado State University. McLachlan, who has argued before the United States Supreme Court, served as a La Plata County attorney from 1995 to 1998 and as the solicitor general of the state of Colorado from 1999 to 2000 before entering private practice. The group of supporters reacted warmly when McLachlan pledged to defend womens reproduction rights and their freedom. Theres no greater latter-day feminist than a father talking to his daughter about the future, McLachlan said. Spectators also applauded when McLachlan said he did not intend to cut government jobs. The political attitude in the state party of our opponents is that destroying government jobs is necessarily good. But were not going to get good teachers, firefighters or policemen that way, McLachlan said. McLachlan could face Patrick Swonger of Silverton in a competitive Democratic Party primary. Swonger, who is petitioning to be on the ballot, said he has collected 225 of the 1,000 signatures he needs. Swonger has to petition on the ballot because he missed the deadline to register as a party member by one day. Party rules require candidates to be registered member for at least 12 months before the general election. The 59th House District was redrawn last year in a bitterly contested reapportionment process that left the district more competitive for Democrats. McLachlan said the Colorado Democratic Party had been very supportive of his candidacy. Ive spoken to the major leadership, the local executive council, district officials  I think the CDP is totally behind my candidacy, said McLachlan.